It was the Sarjeant Gallery's 90th birthday last year so each of the nine full time staff selected ten of their favourite works from the collection. 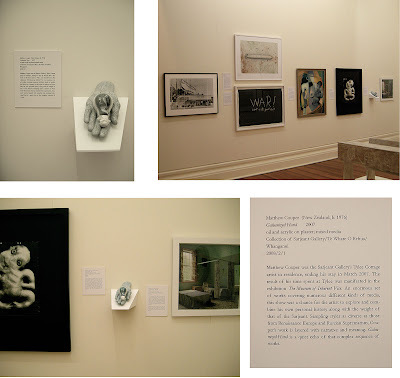 I have a little work in the show that was originally exhibited in The Museum of Inherent Vice, my end of residency exhibition in 2007. The grouping has been selected by senior curator, Greg Anderson and features works that have been recently purchased or gifted to the Sarjeant collection since his appointment to the job. The exhibition finishes on the 14th of February, 2010.